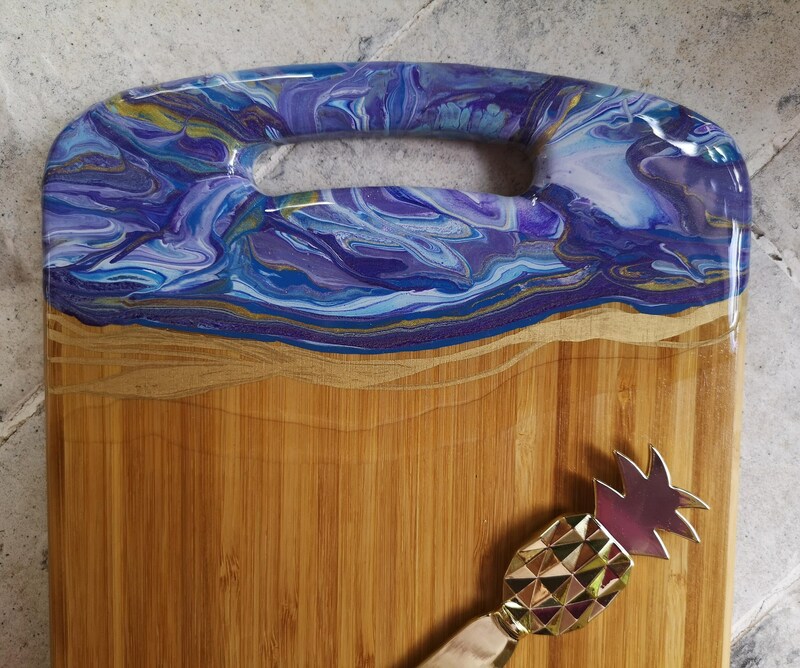 This cheeseboard / chopping board is customised with original abstract acrylic artwork, finished with resin for long lasting gloss and clarity, resin is inert once cured and I use a food safe resin. Resin sets to a hard glass-like finish. If you like texture then this board is for you. Your board comes with care and cleaning information. 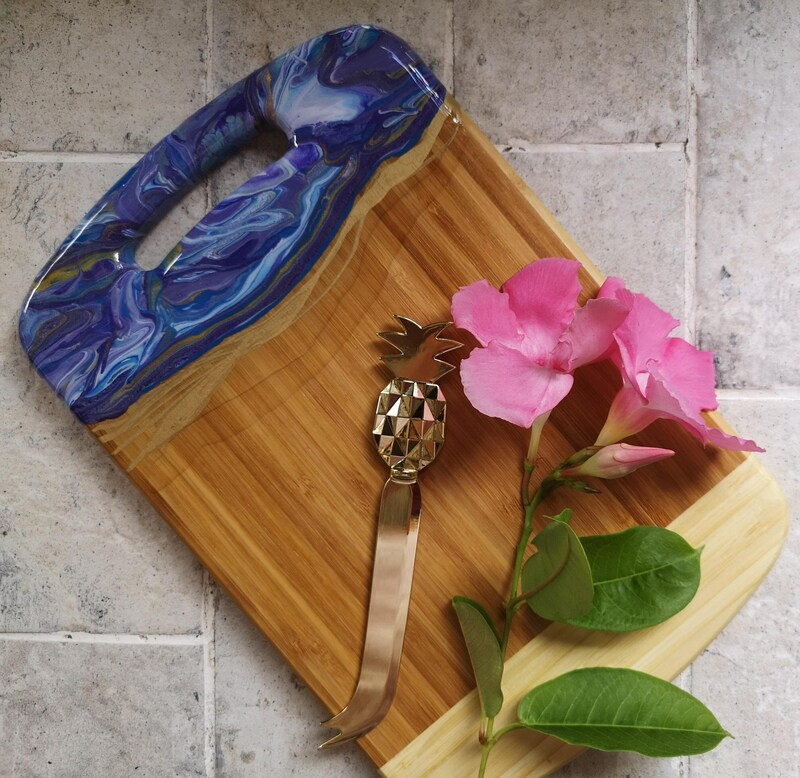 The board can be used as a chopping board or serving board, but don't cut directly on the resin as this will effect its appearance. 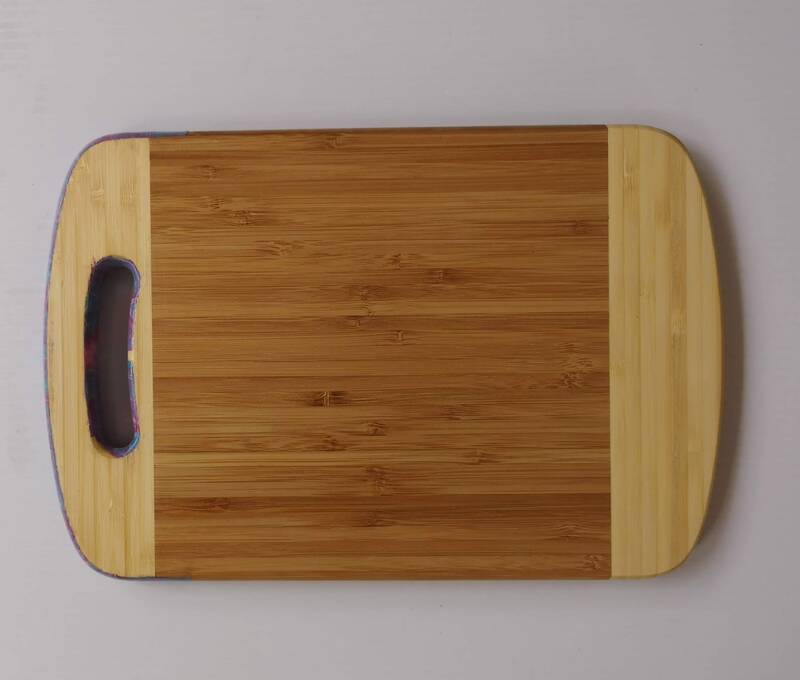 Bamboo is a fast growing resource, and is a sustainable source of timber. Dimensions: approximately 28cm x 19cm x 1.8cm.